Yes, its true. 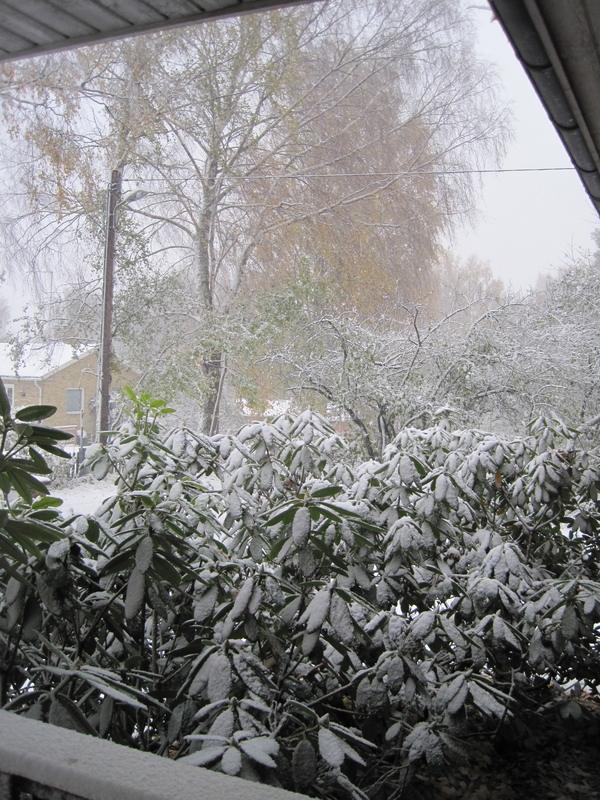 We live in the northern hemisphere, and we woke up to this…. 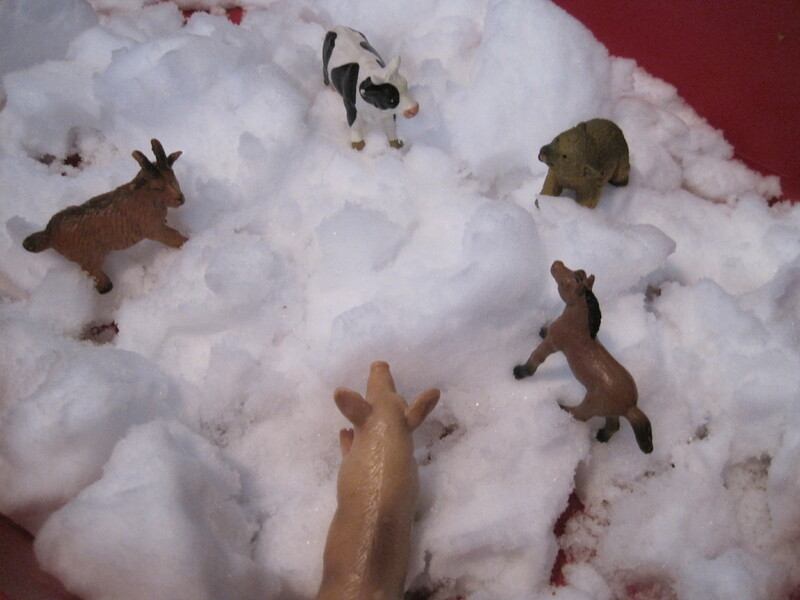 A sweet book about four animals looking for food in the winter snow. They spot a single red apple in a tree but it is too high. Through team work they figure out how to get it down, and share it between them. 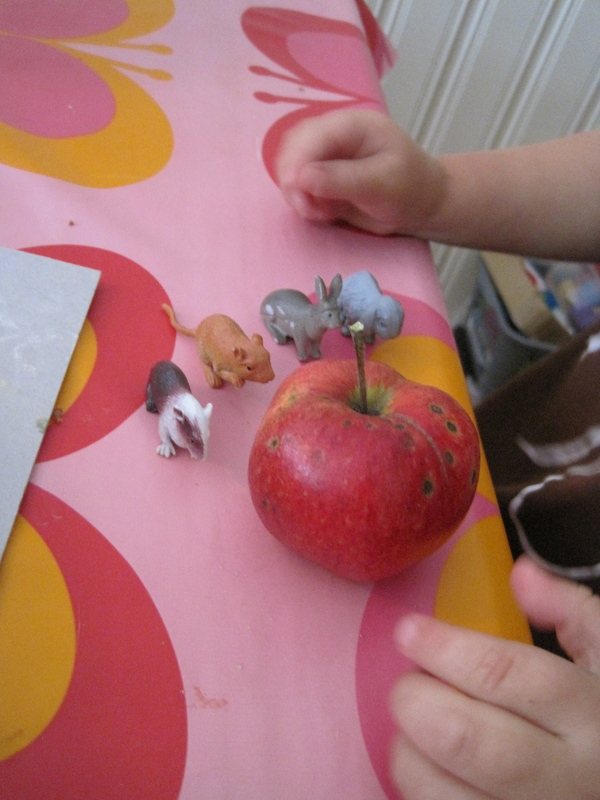 And it wasn’t long before he had picked out his own animals that seemed more like those in the story, found an apple, and later a ‘cave’, and acted out the story on his own. He’s certainly quick to pick up on a story! 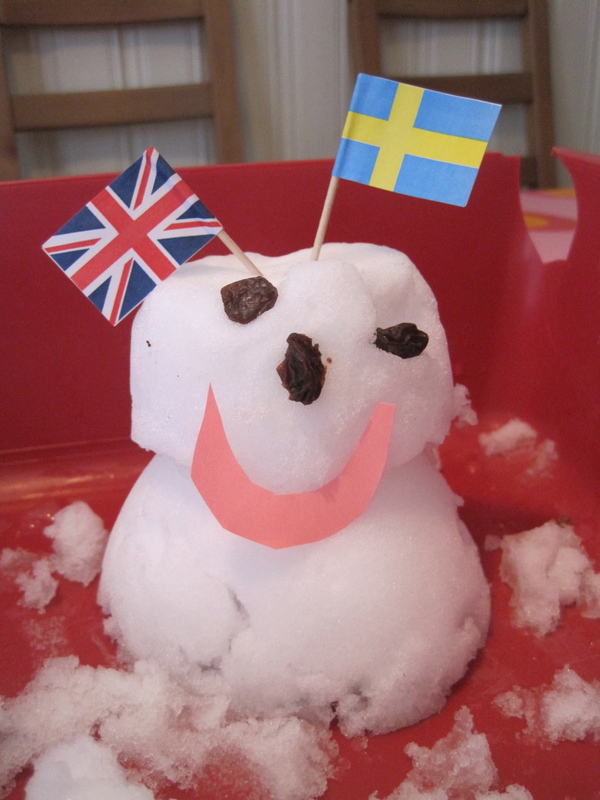 And of course we couldn’t go long without making a mini snowman! It’s fun to see a two year old’s first reaction to snow (because of course he doesn’t really remember it 7 months ago!). He both laughed, and was shocked at how cold it was, he couldn’t stop eating it, he asked where the grass had gone and showed anxiety when he saw his scooter getting covered with snow, and got very sad when the snow in his tray melted. And now the sun is shining, and the snow looks like it’s started melting, which is just as well really – autumn stills feels very much in the air, and I don’t feel ready for winter yet. We need to pack away the toys in the garden, and pick the rest of the apples. We need to dig out our winter overalls, our sledges and our skis. And most of all, we need to get those winter tires on the car! No. I’m not ready for winter. At least we can wait for Halloween to pass us by first?! 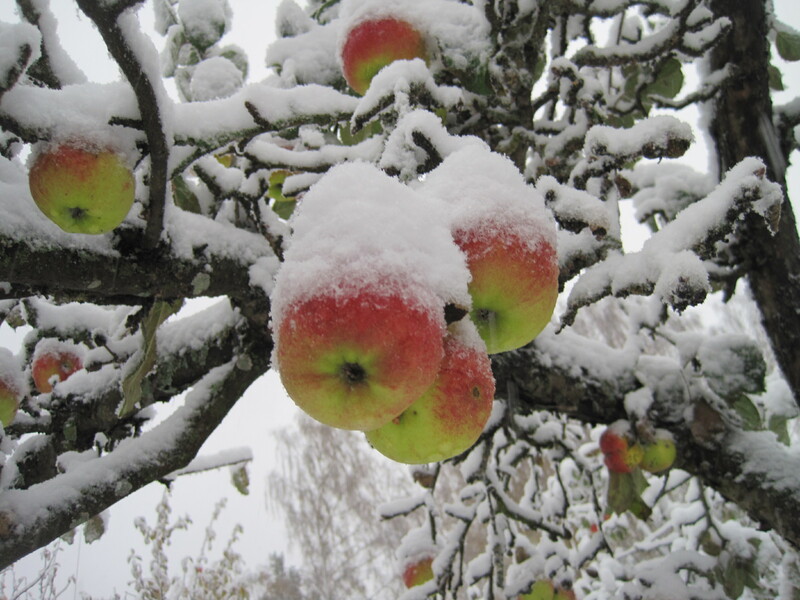 love the snowy apples – very artistic! would make a good card! 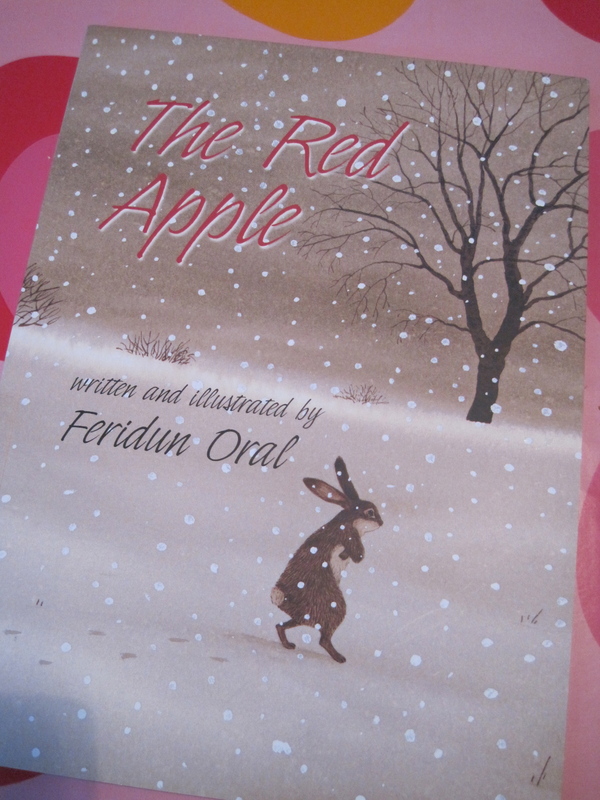 However, I do have to admit to loving the shot of the snow on the apples. THAT is a gorgeous shot.